"We Buy Houses" Companies in Dallas - Who to Trust? “We Buy Houses” Companies in Dallas – Can You Trust Them? You’ve probably seen plenty of those “We Buy Houses” companies advertising around Dallas, but are they legit? We Buy Houses: Friend or Foe? If you find yourself considering a “quick sale”, you’re not alone. 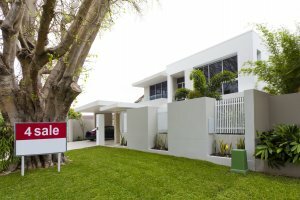 In fact, in 2016, there were cities in the U.S., such as Miami, where short sales accounted for almost a quarter of homes sold during certain months of the year. In 2015, 10% of all Americans opted for this route when selling their home. Every industry has a bad apple or two, and this one is no different. Stories of fraudulent companies advertising to buy houses quickly have scared some homeowners away from this option, even when it may be the best option for them. The housing market mayhem over the last decade has left many homeowners needing someone who buys houses fast, without jumping through a lot of the hoops involved when selling through an agency. Unfortunately, there have been instances of fraud committed by some buyers, which may concern you if you are selling your home. Can homeowners trust the company claiming: We buy houses? You should not “throw the baby out with the bathwater” when dealing with these companies. There are some credible and conscientious real-estate professionals behind the “We Buy Houses” signs you see around town. Financial experts endorse short sales in a variety of situations; For example, those seeking less credit damage, greater personal control, desiring a new mortgage, and sometimes there are financial benefits to a fast-track sale. If you are considering selling your home, it may be best for you too. Know when a quick, cash sale is the best option for selling your home. Know who to trust to buy your house if a quick, cash sale is right for you. Should I Consider Contacting a Company who Advertises Buying Houses for Quick Cash? Are you either risking or already facing foreclosure? Selling your home “as is” for quick cash might help you avoid the financial and emotional upheaval that comes with foreclosing on your home. Are you relocating, and need to sell your home before you can afford to move on to bigger and better things ahead? Perhaps you have a new job or a husband or wife that is waiting for you states away…but you can’t afford to move until you sell, then this may be your best bet. Are you in the midst of a life change, where your healthiest or most financially sound decision would be to sell, and you don’t have the time or energy to do the repairs necessary to put your home on the market: a divorce, the death of a loved one, or when a parent becomes a sudden, unexpected addition to the family? Selling your home for quick cash may save your sanity and prevent an additional move down the road. Did you inherit distressed estate property? Are you looking to get as much money as possible for your home without investing money for repairs? If you answered yes to any of these questions then selling to a credible company who buys houses just might be the answer you are looking for. Naturally, considering the topsy-turvy housing market that plagued homebuyers less than 10 years ago, and the warnings of fraudulent investor scam artists, property owners everywhere have become more suspicious of real-estate professionals. It only makes sense to proceed with caution when making the decision to sell your home. Being able to trust who is buying your house is important. How about “We Buy Houses” Companies in Dallas – Can You Trust Them? Selling with a cash-buyer means no costly commissions. Real estate agents don’t like to tell you that after you pay thier commission plus hefty closing costs, and inspection and repair fees, you might not walk away with near as much as you had hoped. Who Pays for Repairs? the buyer pays all! When you choose a trustworthy Dallas cash-buyer, your price won’t change based on your ability to complete a lengthy checklist. You also won’t have to worry about a paying a realtor extra, hidden costs for taking care of last-minute details that you might have overlooked for a surprise showing. Sometimes, homeowners find that the process of selling their home on the market is simply too exhausting. The prospect of a slightly higher sale price may not be worth the toll it takes, and many times homeowners go back and forth taking their home on and off the market, for this very reason. Have you been thinking of selling your home, but the thought of it has been too overwhelming? Are you ready to sell for cash, without taking on a slew of complicated home improvement projects? Do you need to move fast to avoid foreclosure, relocate, or save your credit? We buy houses in the Dallas area! Contact us today for a quick, easy cash offer that you can trust!